Amazon Echo deals: Save on Echo speakers and Fire tablets | What Hi-Fi? Are you ready for a new lady in your life? Have you considered that lady could be an intelligent virtual assistant? If so, you're in luck, as Amazon is offering savings on a host of devices powered by Alexa, the company's personal assistant, just in time for Valentine's Day. 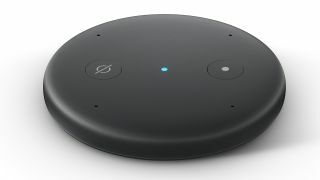 You can save on the latest Amazon Echo (2nd Gen) smart speaker, the Echo Spot and the new Echo Show, both of which come with a screen for video, and the Echo Input, the new device for adding Alexa to an existing system. As well as these Echo speaker offers, today's Amazon deals also include new lower prices on its Fire tablets. The Fire 7, Fire HD 8 and Fire HD 10 have all been treated to new low prices. Bonus. Check out all the Amazon deals and prices below.